I’ve had a crush on Margarita’s my whole life! Ever since my parents used to let me sneak a taste of theirs at the local watering hole (GeJo’s) when I was in high school! I thought maybe it was the forbidden fruit but 30 years later and I still LOVE Margarita’s. I have gotten pickier through the years however.. I used to drink any margarita, $1 Marg night… I’m IN! But now I prefer real ingredients in my Margs. 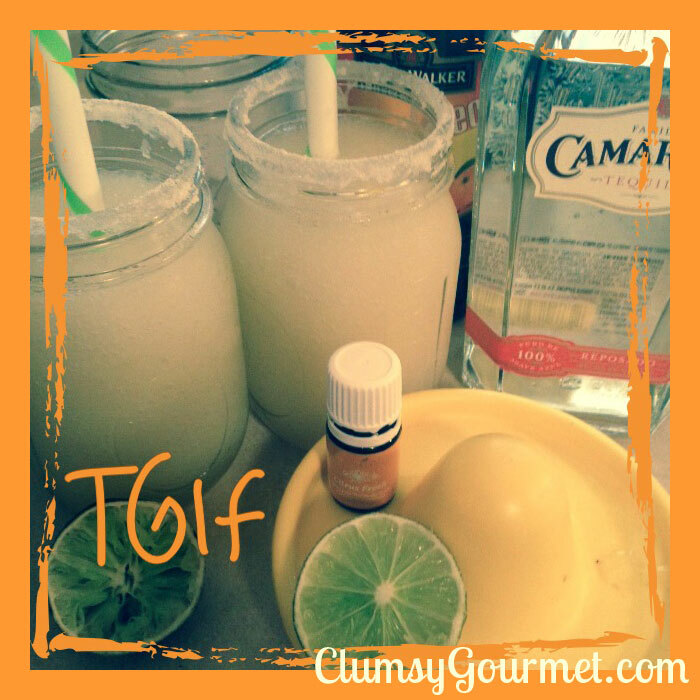 Combine tequila, lime juice, Orange Liquor of choice (Cointreau or Triple Sec) and ice in the blender. Blend until it is the way you like it. Stir in with pretty straws or these stainless steel ones that I love for my smoothies too. If you’d like to make up the margarita mixer in advance, this is another option. Quick & Easy – 1:1 Sugar and Water… Shake until completely dissolved. The superfine sugar you bought to use for a rimmer works great. Allow to cool completely and thicken, then bottle and refrigerate if you aren’t using it right away. Other Margarita Recipes you might like are the BeerRita, and 10 other Margarita Recipes here. Let us know on the Cooking with Essential Oils Facebook page if you give these a try.